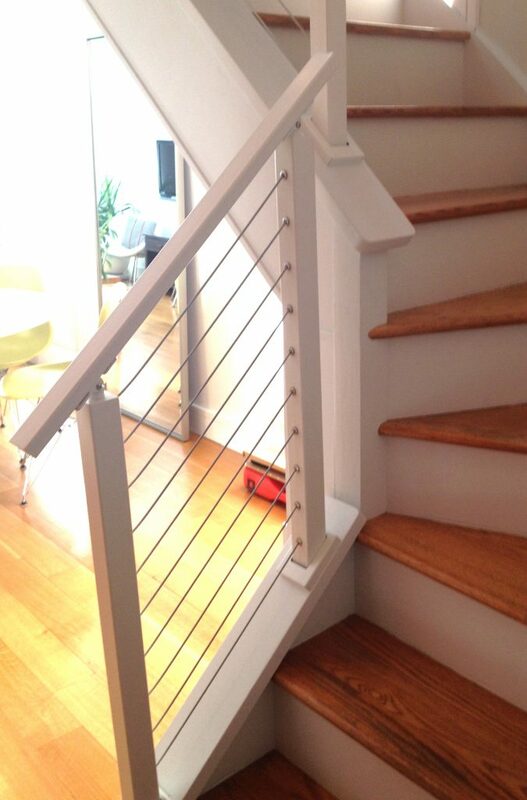 When it comes to making a creative cable railing design, we are here to help. 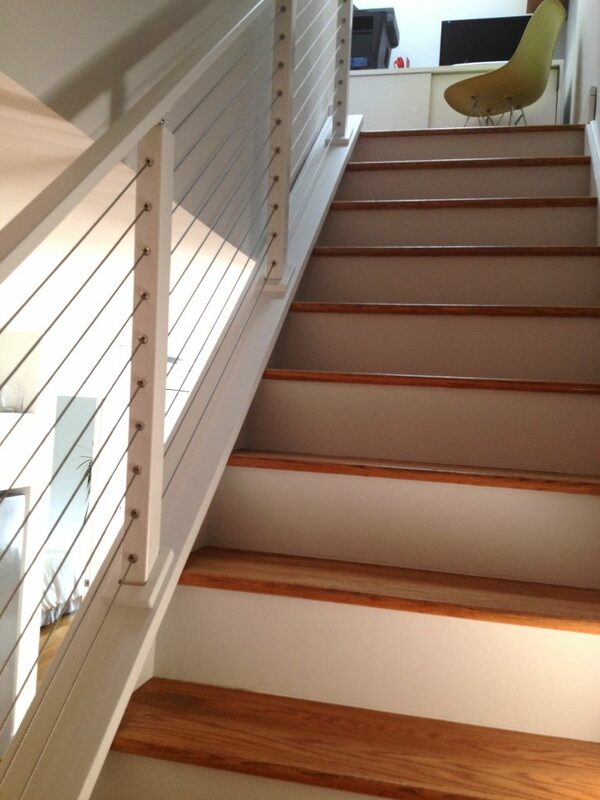 This customer chose our Apollo White powder coat to liven up their stairway. 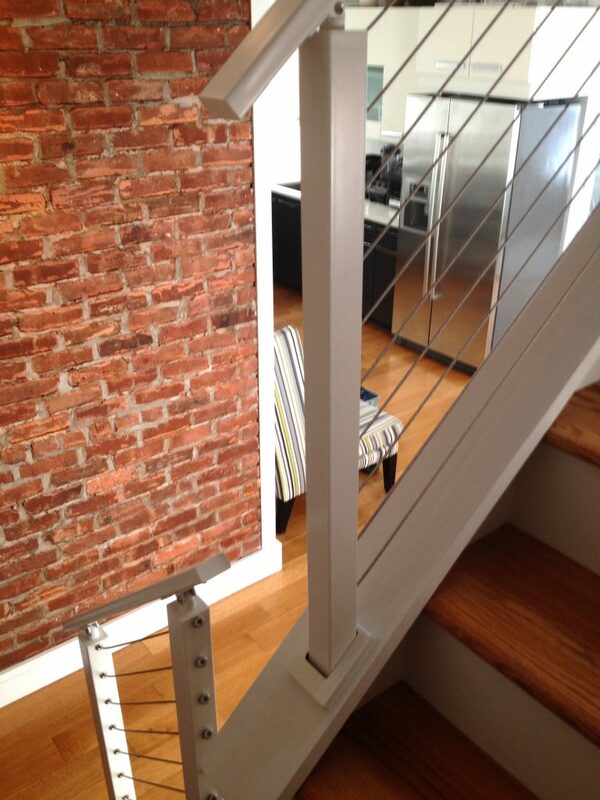 Furthermore, the J-up posts used at the start of the run have a smooth surface so that no components are visible. 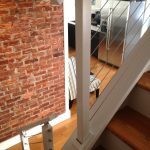 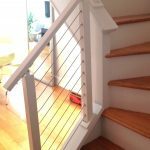 Our team has vast knowledge of what is possible with cable railing, and we are here to make sure your staircase vision becomes a reality.